Now coming to the point, even more important than where to get cool swords for sale and, which is whether the blade(s) you are going to purchase are real or not? There are various ways to figure out which swords are real and which are used as simple decorative pieces, such as wall hangings for office or home décor. Spring or Carbon Steel is used to make a real sword. Decorative swords are fashioned from stainless steel. Prone to rust, so needs constant maintenance. Does not rust, no need for maintenance. Real swords can withstand any impact during fights because they are correctly tampered. under this category, even the best swords break as they are not intended for fighting or sparring purposes. Have a full tang so it goes all the way from the blade to the handle. Makes a real sword very durable and safe. Has a thin rod for a tang that is welded into the handle, it comes off easily and can prove to be very dangerous. 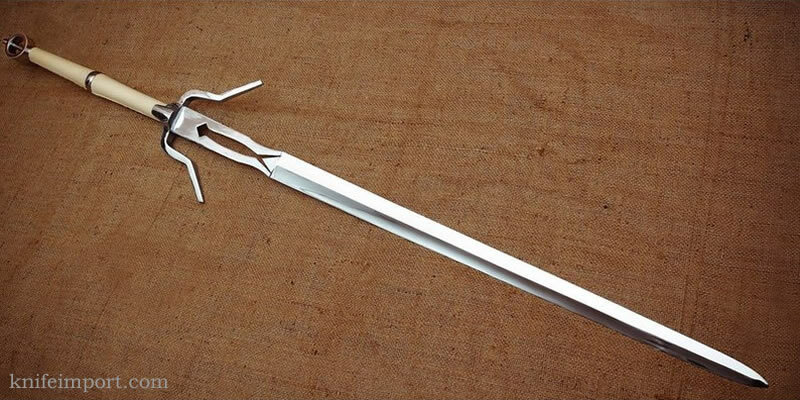 Expensive – Handmade real swords usually cost $200 to $300. While a real Katana sword can cost about $400 to $6000, depending on who made it. Inexpensive – the decorative swords for sale are available at really low prices, normally sold from $20 to $50. So, the price we just mentioned above can vary due to the demand and supply changes in the market. However, you will find yourself authentic or decorative blades around these rates or at least not any higher. In the case you find really cheap cool swords that only cost around $40 - $50 and want to try them out for fighting and/or sparring. We will advise you not to do that! As we have discussed before, while comparing the two types of swords, you cannot expect a decorative wall hanging blade to be used for actual fighting. You can open up any UCC website and check out the clips people made or got caught in while trying and failing to use decorative cool swords for practice. We really hope that you will make the right choice and will not end up in one such fail videos! Another reason why we have practice swords for sale, in our inventory, is that we cannot bear to see you get hurt while practicing with authentic blades fashioned for only one reason, and one reason alone—slicing through anything like its pudding. Thus, you should look for the alternate first, which are the wooden practice and training swords. They are not that expensive and prove to be extremely safe for people who have had never wielded real swords before. For finding out about what kind of risks are involved in buying authentic swords online, keep on reading. But first we would like to explain some of the precautions and sword safety guidelines, just in case, so you will have the necessary knowledge to stay safe while handling blades, especially authentic samurai swords. Think twice before you fling the weapon: this is the most common thing that leads to unfortunate accidents, just because someone was not attentive enough to check before flinging their sword and injuring themselves or another person. Keep pointing the weapon’s tip upwards or downwards: no matter at what time, you must always keep the tip of a real sword either upwards or towards the ground. There no exceptions because in all other cases anyone can get impaled with its sharp tip. Carefully sheath/unsheathe the blade: it is extremely important to be extra careful when sheathing or unsheathing a blade otherwise you can easily cut your fingers that are holding the scabbard in place. Don’t leave your blade lying around: you must never ever leave your blade unattended in random places, we know that no one can be that careless, but we are mentioning it just in case. Be careful while cleaning a blade: You must take your time while maintaining and cleaning your real swords, because being inattentive even for a split second can end up in nasty cuts or worse. You can have lots to think and worry about when you buy swords for sale over the internet. Whether the price is right? Will it really get delivered in one piece? How much money should I have before going online to buy real swords? This list of questions can go on and on. Therefore, what we suggest is that you should never think of spending big bucks over the first blade you purchase online. In case you have money, you might just be ready to splurge and spend $500 or even more, but for people that do not have that kind of money should not look to buy swords for sale at such prices. As you might be able to find some functional blades around the price range of $150 to $300, but it will not be easy and will not be exactly what you desire in a real sword. Finally, we have given away too much information on various topics related to buying authentic blades and handling them. So, we think you are ready now to go ahead and look up cool swords for sale available online without any headaches or worries. We wish you good luck!